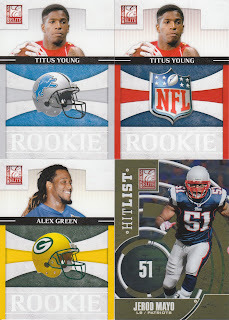 Two Titus Young cards, he had a rough year... a nice pick up for the Pats with the Mayo as well. The Eagles pick up a couple of nice inserts! 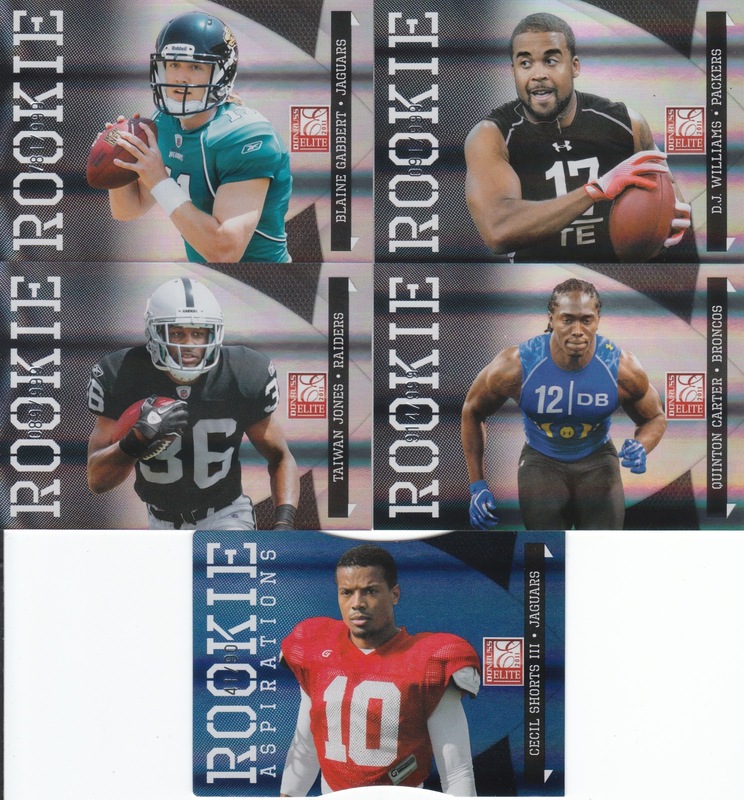 The Forte is numbered out of just 99 as well! A very nice autograph for arpsmith! Kendall Hunter has done pretty well for himself there in San Fran! 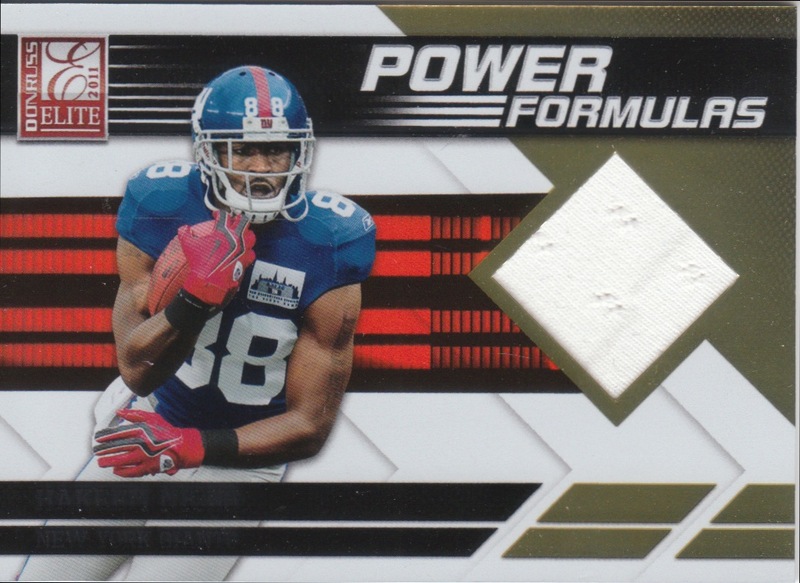 Hakeem Nicks! G-Men! Good lookin card! 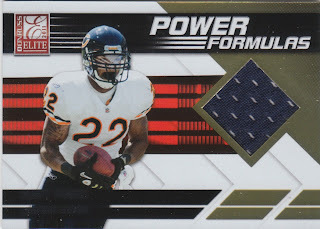 Forte again in the break, nice looking hit for the Bears! Finally, we got a bonus hit! Wow! 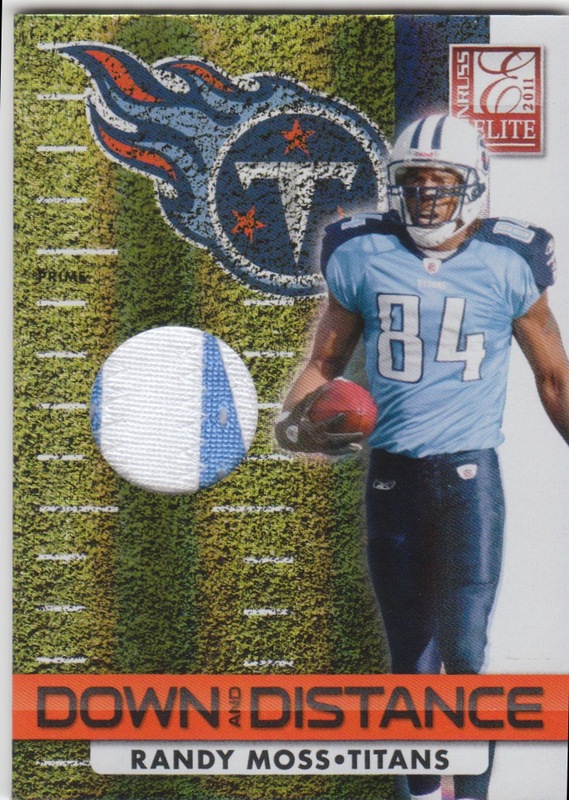 I picked the Titans in hopes of an Oilers card or two showing up, had no idea I'd hit it big with a HOF caliber receiver! Looks like that may be part of the N in Randy as well! Glad we got an extra hit in the box! 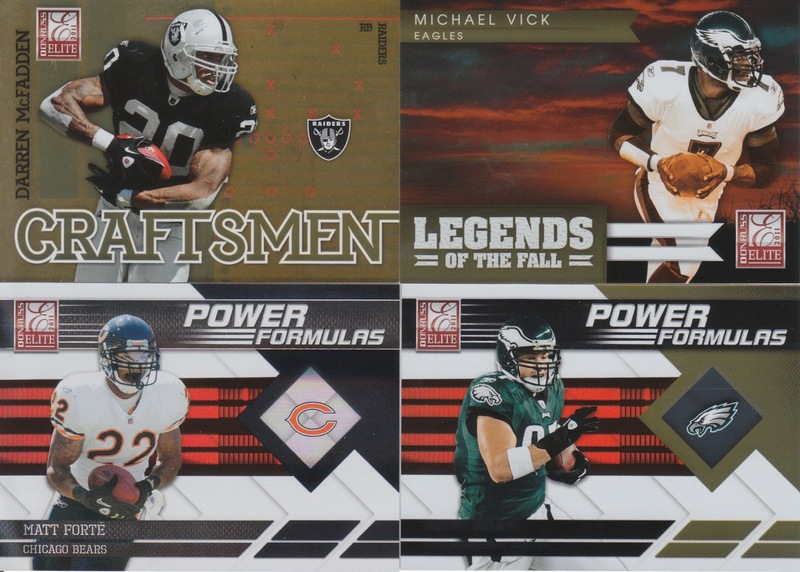 Tomorrow, 2011 Crown Royale... and here's a bit of a tease about what's to come... we get a card that could possibly have paid for the entire group break based on past eBay sales! You won't want to miss it tomorrow night! 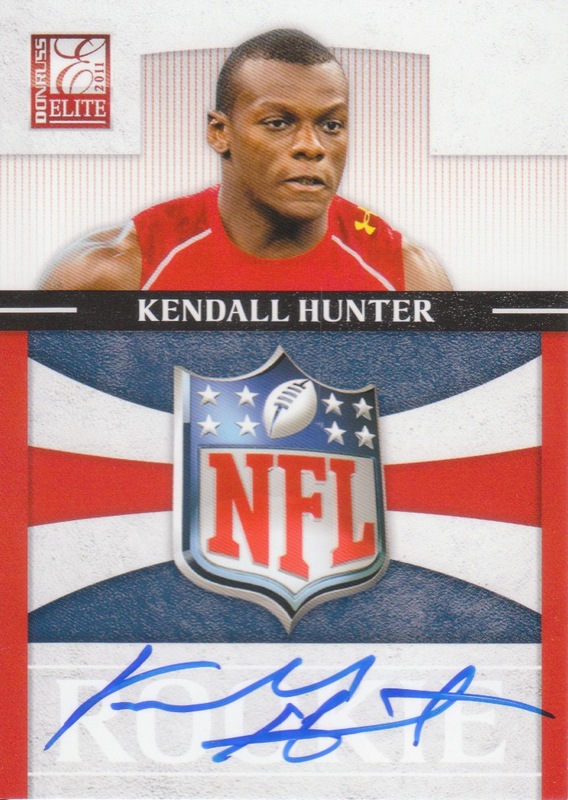 Very happy to score a Niners hit! Hope that is a good sign for this weekend! 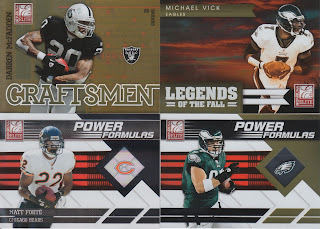 A very good box, Nice cards! 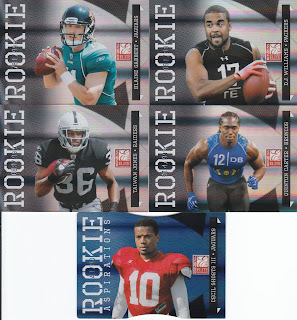 Good box, glad I traded for the Eagles to land a numbered Vick! 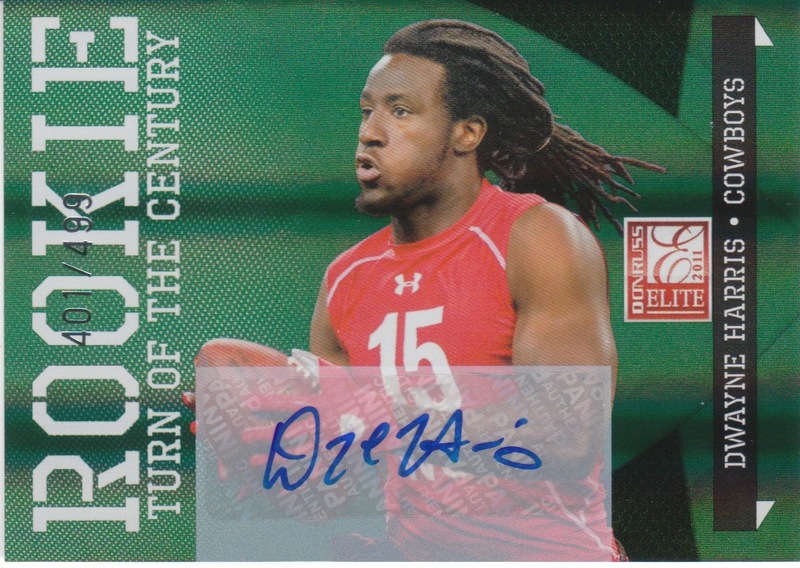 Dwayne Harris was a return specialist and receiver for the Cowboys that borke out near the end of the year and was pretty impressive, so it's a pretty good autograph. Even though I'm not participating I love to see what everybody else gets. My random teams came through!